Macaroons are small rounded cakes that are both melt-in-the-mouth and crunchy. The typical diameter of a macaroon is 4 cm. This cake has travelled through history to conquer several continents. Each time the recipe is adapted to local tastes! Derived from the meringue, it is made from almond powder, icing sugar, sugar and the white of eggs. The paste this mix produces is put on a baking tray and cooked. This gives it is special form of a thickened, golden paste on cooking. 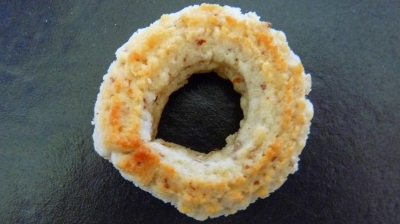 It is often admitted that this macaroon, "the navel of the world", was created in 781 in our abbey in Cormery . 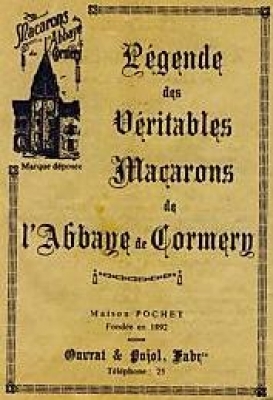 An initial macaroon recipe features in a work from the beginning of the 17th century. What is certain is that the macaroon was known in Europe in the Middle Ages. It was made for sailors so they could take delicacies with them that could be preserved for several weeks. They were found in Venice at this time and very quickly the recipe of the small soft cake crossed borders. The Italians called it the maccherone which means "thin pastry" and which subsequently gave it the name of macaroon in French. Very quickly the macaroon recipe became a classic in France. A number of specialities were created in French regions around the basic preparation. Added to these specialities that flaunted several centuries of a fondness for food was the 20th century Parisian macaroon. It is distinguished from the others thanks to its ganache filling. While each pastry chef has developed a recipe peculiar to him to make his creation a unique delicacy, overall a macaroon is always made from the same 4 unchanging ingredients: almond powder, sugar, icing sugar and the whites of eggs. These ingredients are practically the same as those needed to make meringue. The mixture of these ingredients is piped onto a baking tray to obtain small cakes 3 to 5 centimetres in diameter. The preparation is cooked in the oven until the cake is golden and crunchy. The cakes are then removed from the tray to be put together in twos. If the macaroon is Parisian, it will be filled with ganache. 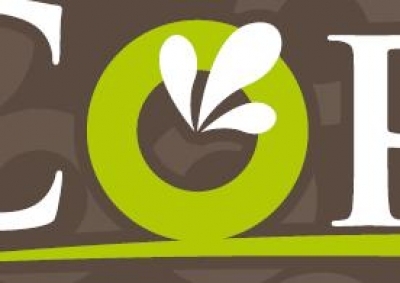 Why do the macaroons of Cormery have a navel? — There are the macaroons that are from the monastery... "
Will adorn the middle of all our macaroons!" Séraphin thus immersed himself in his pious prayers. During this time, Brother John, as was custom, toiled away at his ovens when, suddenly, a spark flew out from one of the fireplaces and burnt the Benedictine's robe, leaving right in the middle, on the front, "a hole edged with black, as round as a ring, not very big it's true but... you could see the skin!". Finally at the first stroke of six, Father Séraphin rushed to the workshop where the macaroons were being cooked. As soon as he arrived he looked through the hole of the lock (because Brother John always kept his door well locked through fear that someone would come to steal his precious secret). "Unfortunately, Brother John, on hearing a noise, turned around showing the astounded father his portly monk's navel." " That God, in his intentions, is therefore impenetrable! ", sighed Séraphin. And since this memorable night, wise gourmets who want to taste authentic macaroons demand those that bear a nice hole in their centre. Why does the macaroon of Cormery have the shape of a little belly button? Why, because donkey's years have passed, the abbey of Cormery was getting poorer, Brother Lai, the baker spoke to the good Virgin Saint. She said to him, by appearing among the well golden round loaves. Praising, you will have kneaded well, you will look at the dough, and you will see on it the sign that must save the abbey. And Brother Lai kneaded, kneaded and kneaded again ... Like all bakers, he was naked a little bit lower than the belt, and he kneaded and kneaded again: suddenly exhausted, he fell in the pastry, and soon got up asking God to forgive him for his weakness. And then on wanting to bake again he saw in the pastry the trace of his... Navel! And that's why the macaroon of Cormery has the shape of a little navel. 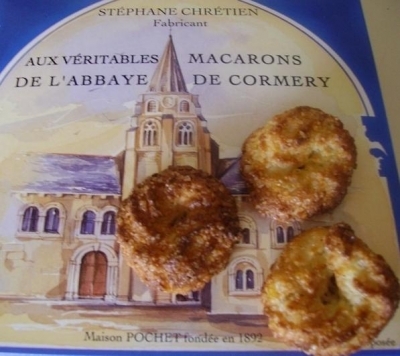 Where can you find the macaroons of Cormery? Whatever the case, the two bakeries of Cormery still carry on this speciality of Cormery in 2009: the macaroon in the shape of a navel. Let yourself be tempted by this delicacy, you will be seduced!